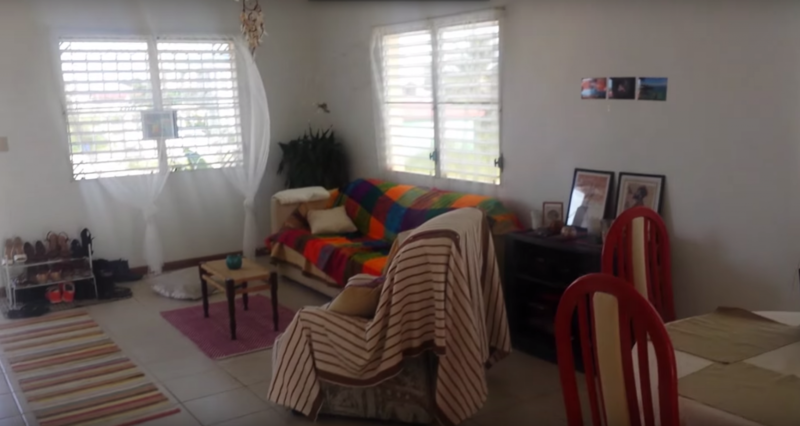 I shared a video of my Belize City home when I first moved in, with the furniture that is included in my rent and the otherwise empty spaces and big empty white walls. I can’t do much to the place other than putting some stuff up, and I haven’t been wanting to invest in it as I’m moving out in a couple of months. But I moved the furniture around a bit, bought some Mexican blankets and colourful carpets – and this is what it looks like today. I really like my place, I love the breeze, I like that it’s airy and clean, and I love that I have an extra room to host friends. And as a cherry on top – I have free wifi from my very kind neighbours (a company) who don’t mind passing me their password, which is an amazing deal in Belize where wifi is ridiculously expensive. I love your apartment. It’s so bright and clean. Can you tell me the name of the first song in your video?